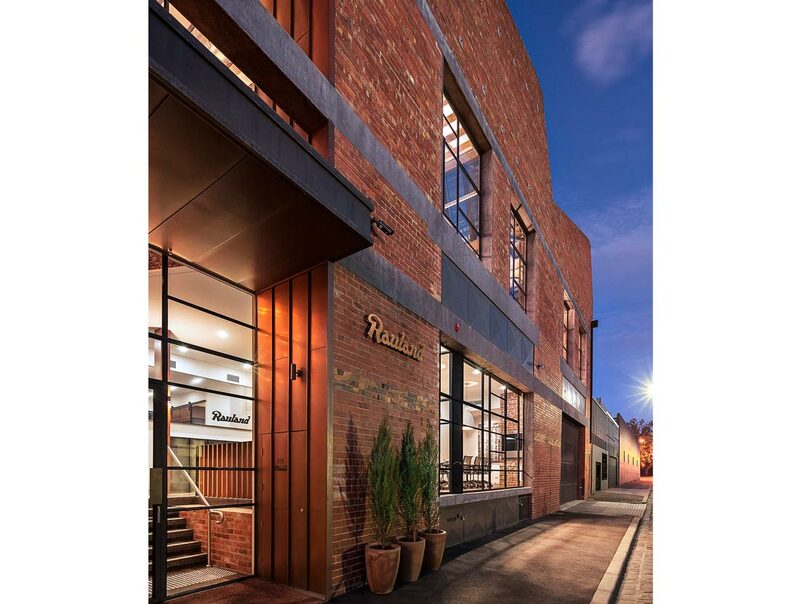 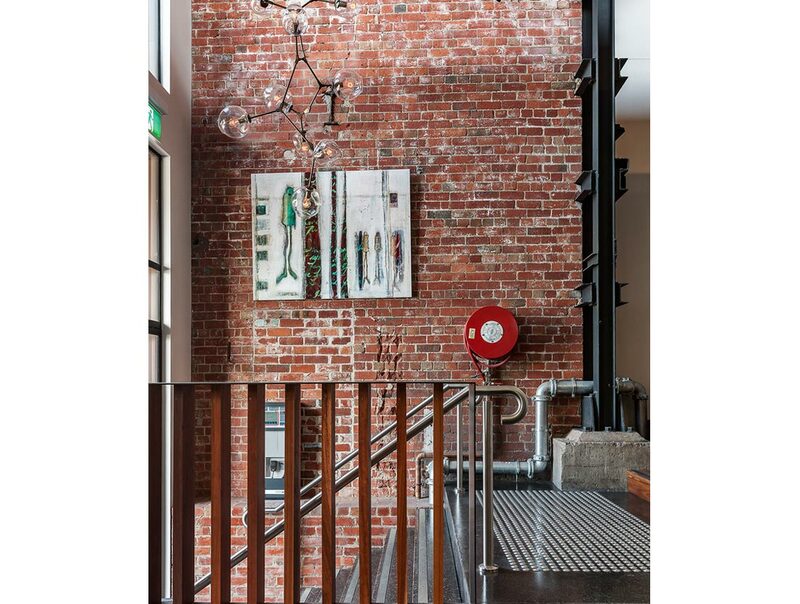 Located in an historic North Melbourne warehouse is the new headquarters for the expanding healthcare communications company Rauland Australia. 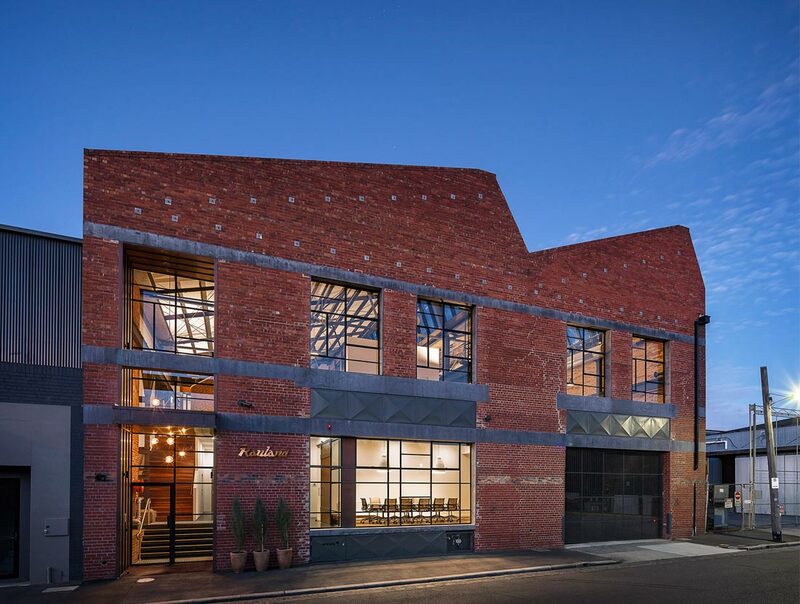 This $3.5 million conversion consists of approximately 1200sqm of office and warehouse over two lofty levels. 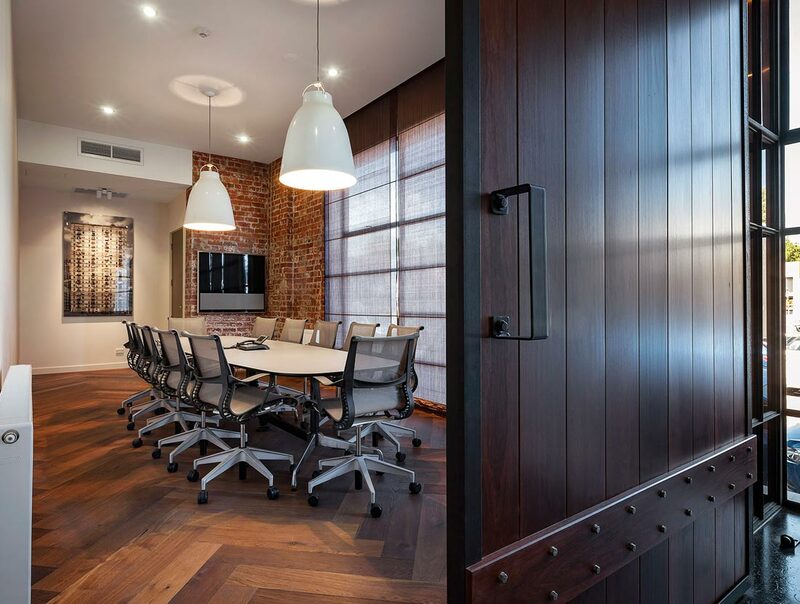 The interior fit-out is a bespoke solution that enhances the historic building fabric with thoughtful insertions of high quality, complimentary components. 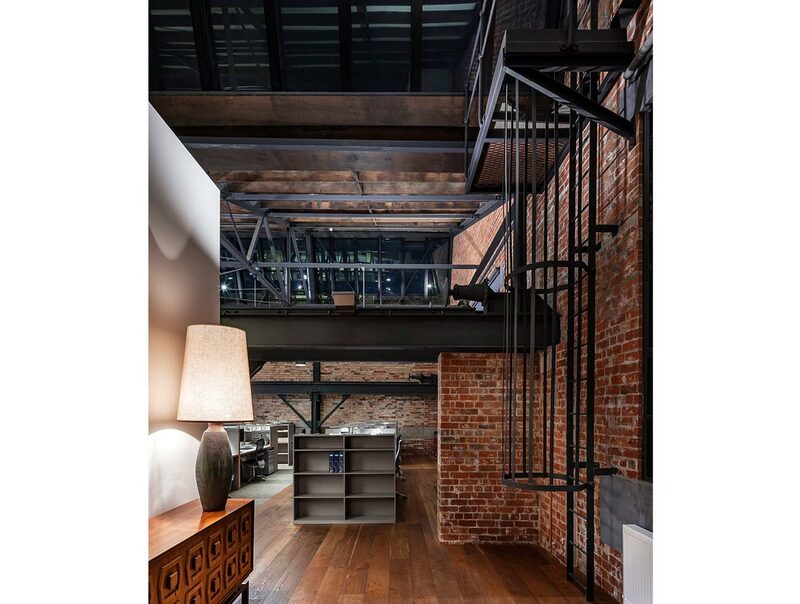 Flexibility, adaptability and climatic comfort were high on the list. 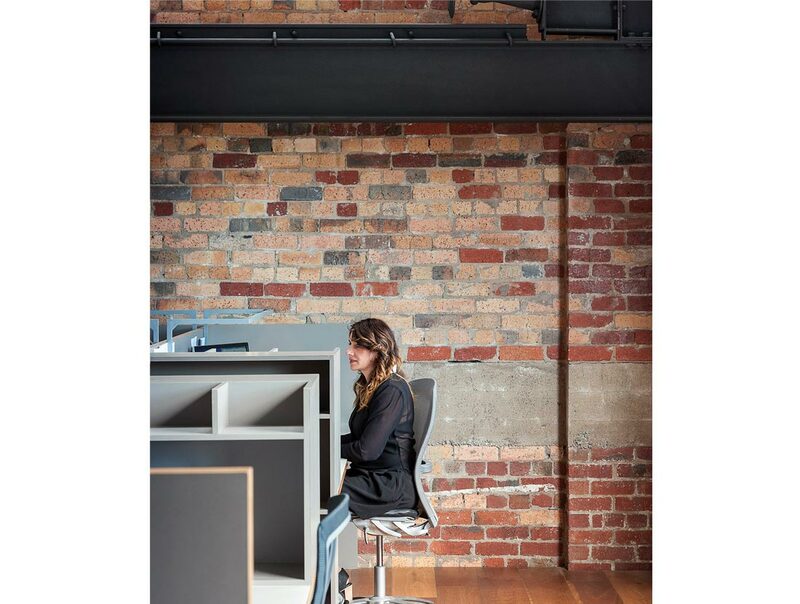 Spaces that met the current needs but could also adjust to the changing requirements of this growing business. 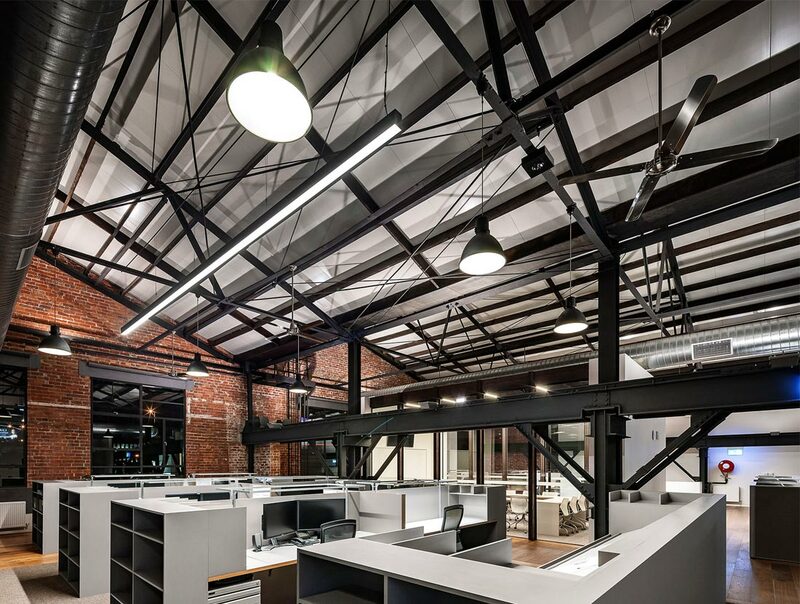 On the ground floor is the reception, conference room and the large production assembly area. 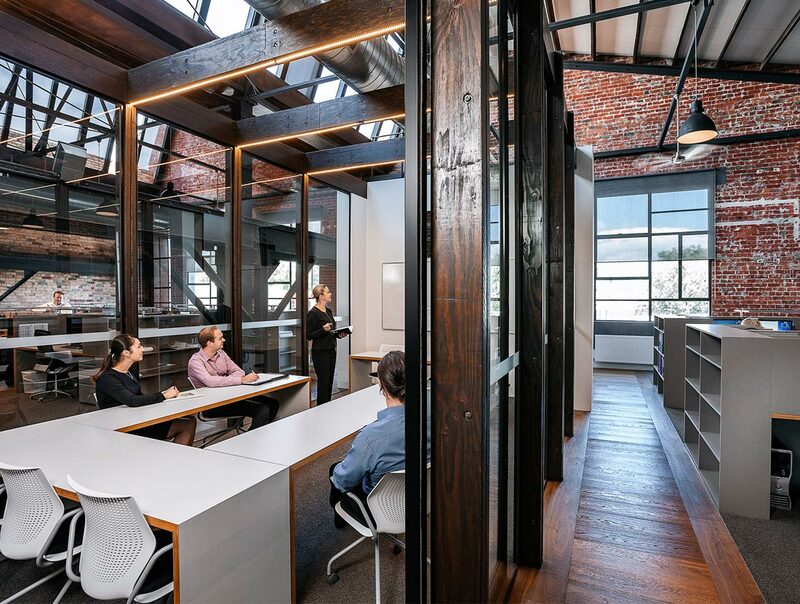 While the lofty first floor features the refurbished saw tooth roof with double glazed clerestory windows and accommodates the main workstation areas, training pods and staff amenity spaces.